I sat down to watch How It Ends on Netflix without having read any reviews or watching any trailers. I was in a bit of a frustrated mood and needed something to relax. The picture of Theo James in a gas mask holding a gun while looking at Forest Whitaker while standing in front of a Caddy made the decision for me. Let’s jump right to the chase here – I took a look and this movie has about 15% on RottenTomatoes. It has not gotten a lot of great reviews. Certainly it is pretty slow, muddles along, doesn’t have any sort of lesson or moral, the catastrophe’s cause is never revealed, and it doesn’t really end. If I had paid money and gone to a theater to watch this movie, I’d probably be pretty disappointed. However, watching it at home in 4K on Netflix, I actually thoroughly enjoyed it. I think there needs to be sort of a rating system for Netflix Originals, where we don’t rate it similarly to a movie we’d see in a theater. These movies are necessarily lower budget, smaller release, and not much fanfare. If you compare this more to a Black Mirror episode without a twist, we’re closer. Also this whole sort of Sci-Fi low budget Netflix revival reminds me a lot of the late 80s/early 90s direct-to-vhs or made-for-tv movies. If you’re looking for some sort of high-brow cinematic experience where you’ll feel moved later on, give this movie a pass. If you’re, like me, a fan of post-apocalyptic fiction, and if you have ever thought of putting together a “go-bag” then definitely go watch this movie. Also, I think the film’s best character – Ricki – who is a Native American mechanic who tags along for a couple of the in-film days, and who was played by Grace Dove, comes out of nowhere, and returns equally to nowhere, definitely carries the middle third of the movie. I look forward to seeing more stuff from her. There’s not really anything I can say to spoil the movie. It’s sort of fairly accurate as far as I can estimate – a lot of time is spent siphoning gas and bypassing blockades. It kind of meanders and wanders, but to quote J.R.R. 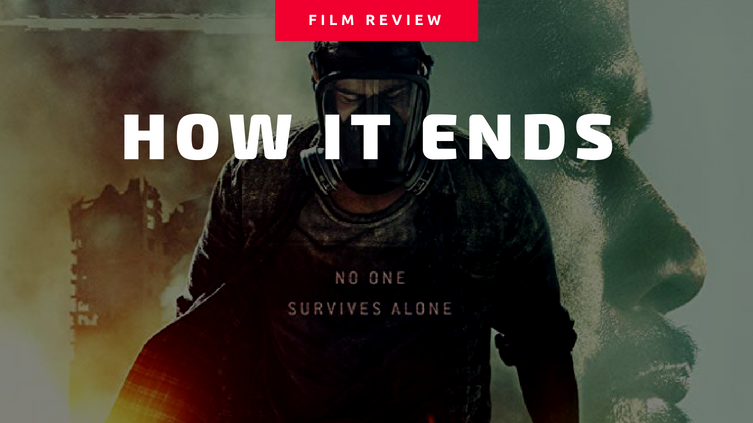 Tolkien – “Not all who wander are lost.” I think the apocalypse probably would be a slow and insidious experience, like this movie, and not a big Michael Bay action-packed production.